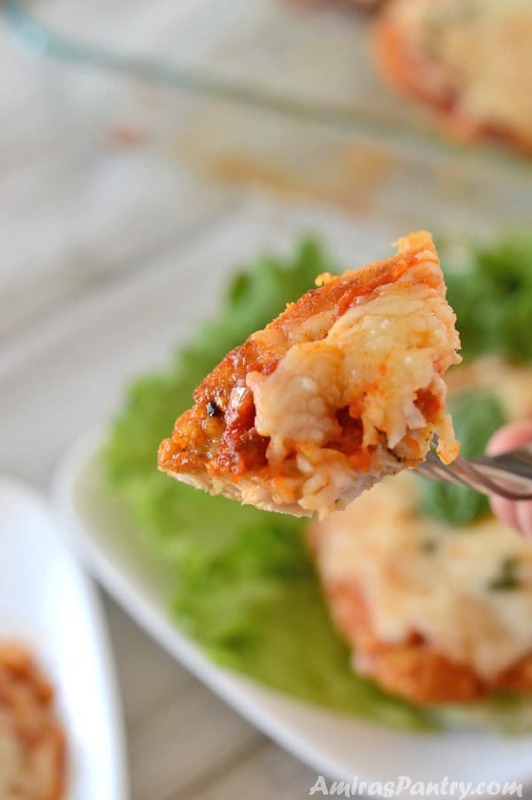 This low carb chicken parmesan casserole is crisp on the outside and so tender inside. 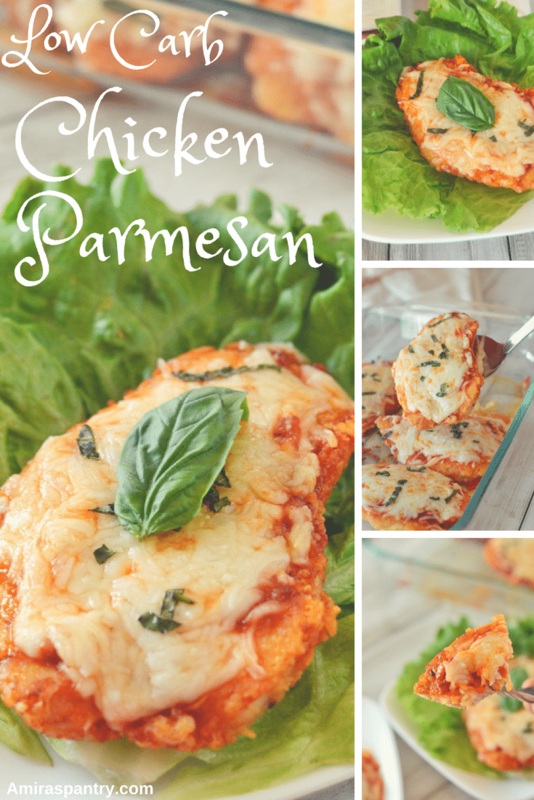 Easy healthy chicken parmesan recipe that is one-pan (if your skillet can go into the oven), 30 minutes and kid friendly. 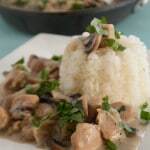 Care for another quick and easy chicken dinner recipe? Check this amazingly juicy chicken Francese. 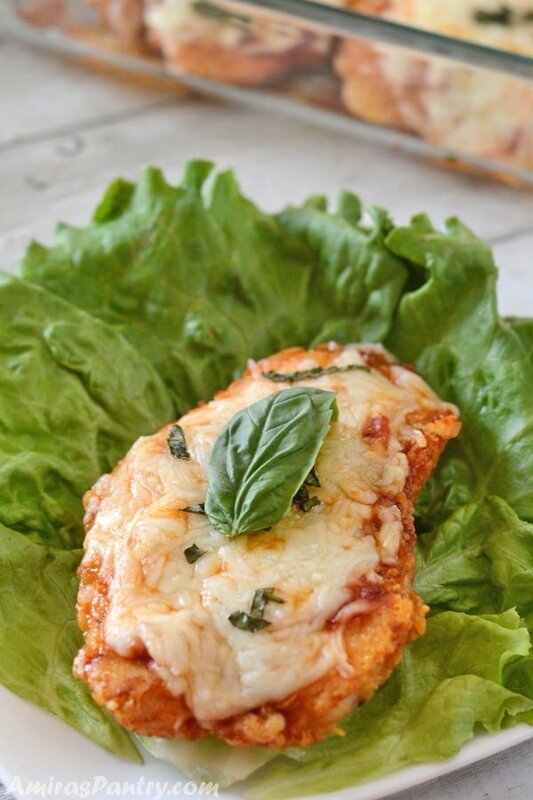 low carb parmesan crusted chicken is a chicken parm without breading kind of recipe. The parmesan crust makes it crispy and adding mozzarella on top ensures tenderness and makes it juicy. This is a recipe that by far liked by all people in my house, kids, teens, adults and the elders as well. A winner that I am sure you’ll like and savor every bite of. P.S. 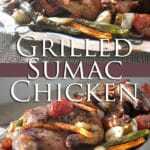 We included our Amazon affiliate links to the tools used to make this recipe. Check our policy for more details. Thank you for your support. This recipe requires a good non stick pan, I tried using a well seasoned cast iron pan but the parmesan layer got stuck and fell off. So I hurried to a nearby Walmart and got this non-stick pan and it served me really well. 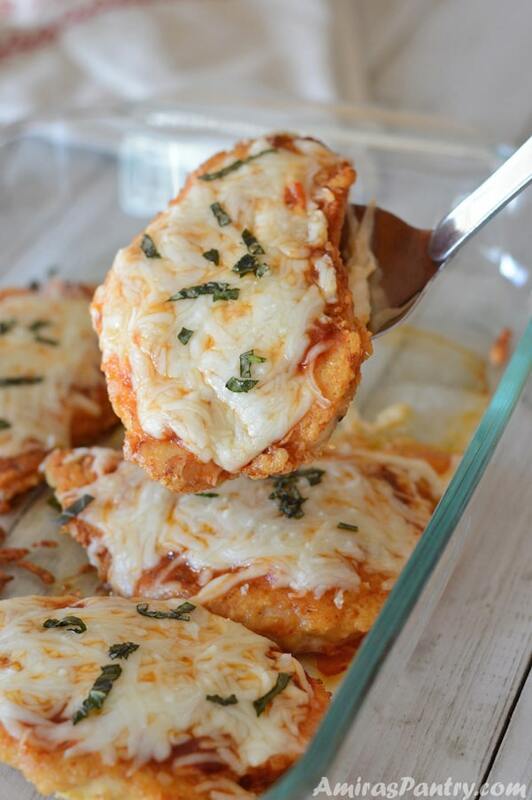 Is chicken parmesan and chicken parmigiana the same? Apparantly, yes. Both consist of breaded chicken topped with sauce and mozzarella, parmesan or provolone cheese. Is chicken parmigiana really Italian? Well nope, not Italian I am afraid. But it is said that it was somehow inspired by the Italian dishmelanzane alla parmigiana, or what we know (roughly) as “eggplant parm”. 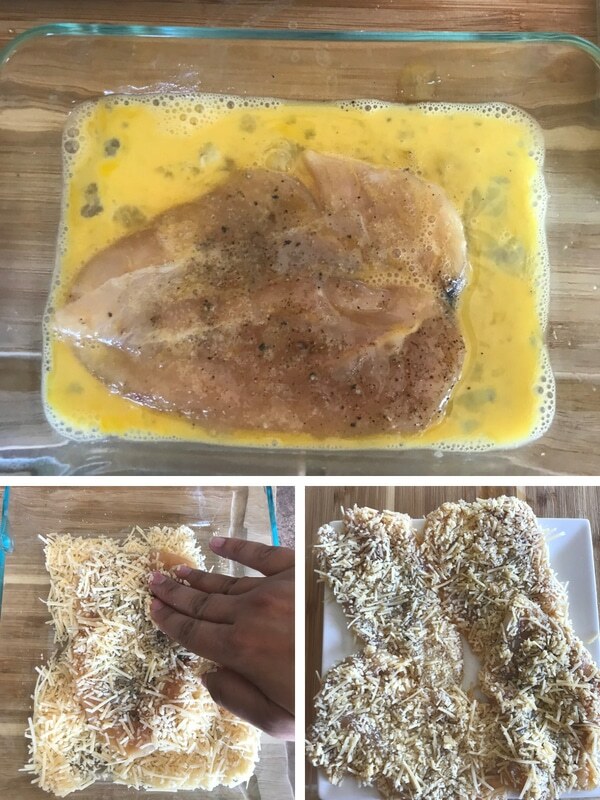 How to make low carb chicken parmesan casserole? It is easy, easier than you think. Typically, most recipes call for chicken breasts but here I’ve used chicken tenders.. why? because it is easier for the elders in our home to chew on them and it is not giving them hard time. Of course you are more than welcome to make it with chicken breasts. I just slit open the tenders as if I am cutting it in half just do not go all the way through. Put them in between plastic wraps and pound lightly just to make sure it is even all around. Liberally, sprinkle garlic salt and pepper on both sides. Then dredge the chicken in egg on both sides. Coat with parmesan cheese and pressing tightly to ensure that it sticks. Shake off any excess cheese. Place on a plate and better refrigerate for 10-15 minutes. In a non-stick pan melt butter, olive oil then carefully add the chicken. Do not cram the skillet though. On a medium heat , my chicken took almost 4.5-5 minutes on each side to brown nicely and for the parm layer to adhere to the chicken well. So peek after 3 minutes and if you see it has browned turn it on the other side. Place the pieces on an oven dish if your skillet and set aside. Now add the sauce. Marinara sauce is traditionally use but do not be afraid to use your own homemade marinara sauce or any other tomato-based sauce that you like. Add the mozzarella and pop in the oven until the cheese melts or browned if you like it that way. I’ve served this with pasta for my kids and elders and as a lettuce wrap for me and the hubby, as a way to complete the low carb picture :). Do not get me wrong, I am not going to turn this blog into a low carb recipe blog, it just happened to be that way. I liked the idea of using only parmesan cheese with no breading, and I love cheese so why not. I have to warn you though, this recipe requires you to open the windows in your kitchen and turn on the fan as parmesan cheese gives this weird smell when melting. 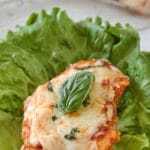 This low carb chicken parmesan casserole is crisp on the outside and so tender inside. 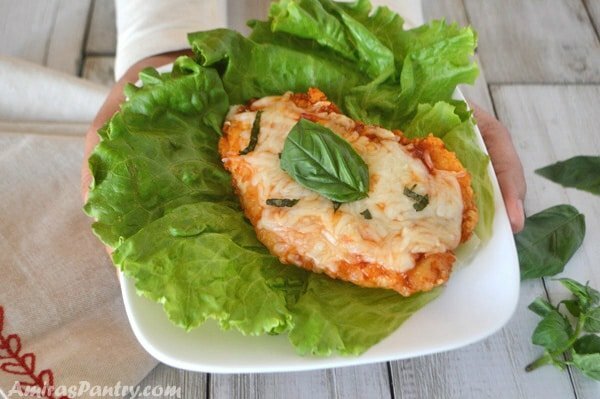 Easy healthy chicken parmesan recipe that is one-pan, 30 minutes and kid friendly. 1 teaspoon garlic salt or to taste. 1 teaspoon pepper or to taste. 6 oz grated parmesan cheese. 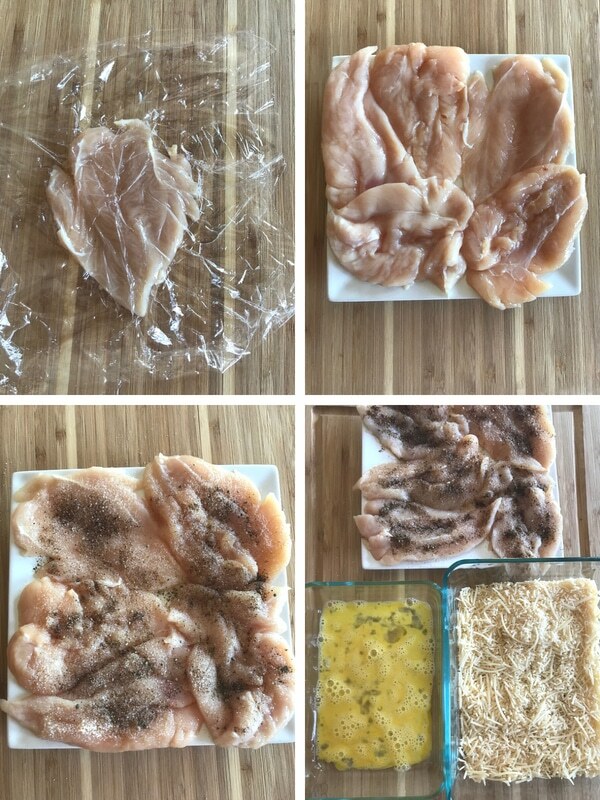 Start by laying the chicken tenderloin on the cutting board with the smooth side down. Using a sharp knife, with the edge parallel to the cutting board, begin cutting down the length of the side of the tenderloin. Carefully slice it in half widthwise almost to the other edge. Keep that edge intact and open the tenderloin along the "fold." Cover with plastic wrap and gently pound with the smooth side of a mallet. Sprinkle each one with garlic salt and pepper on both sides. Whisk egg in a separate bowl, and place parmesan cheese on a shallow bowl. Dredge chicken in egg then place in the parmesan dish to cover with cheese both sides. Press lightly to get it to stick as much as you can and shake off excess cheese. Place flat on a dish and refrigerate for 15 minutes. On medium-high heat add butter and oil to a non-stick pan. 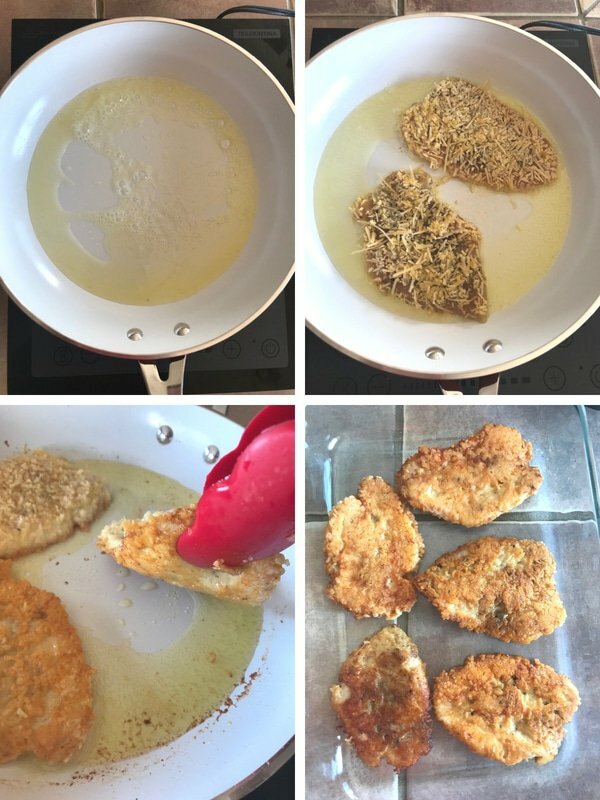 Place chicken tenders to cook about 4-5 minutes on one side, lift the chicken slightly to peek and check when it turns golden brown. 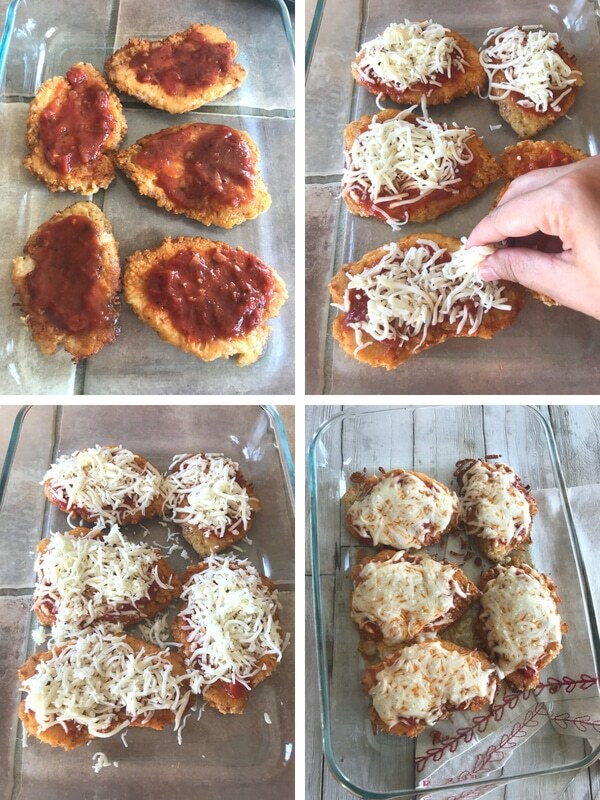 Place chickens on a baking dish, place about 1 tablespoon of the marinara sauce on each then cover with some shredded parmesan cheese. Serve with salad or as lettuce wraps. *My chicken took somewhere from 4 to 5 minutes on each side to brown nicely. **You can leave the chicken longer if you wish for to brown the mozzarella cheese. *** You need a good non stick skillet, cast iron will not work even if it is well seasoned. A new family favorite, served it with whole wheat pasta and it was delicious. I’m so glad you love it Katlin!! Super duper, everyone loved it! Even the non keto people! 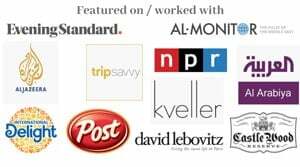 LA, Thank you for trying the recipe and for your feedback. I’m glad that you liked it. This was really good and easy. Loved this recipe and will never go back to my old one. Thank you Anika for trying this recipe out. I am glad you liked it. 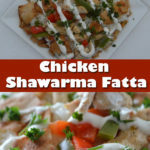 I really like this recipe, I made it for dinner the other day. I made it with chicken breasts and the only modification that I made is that I marinated the chicken overnight because I’m a picky chicken eater. It’s really easy, delicious and fancy! Aya dear, thank you so so much for your feedback, I really appreciate it. I wish you could tell me how did you marinate your chicken?.